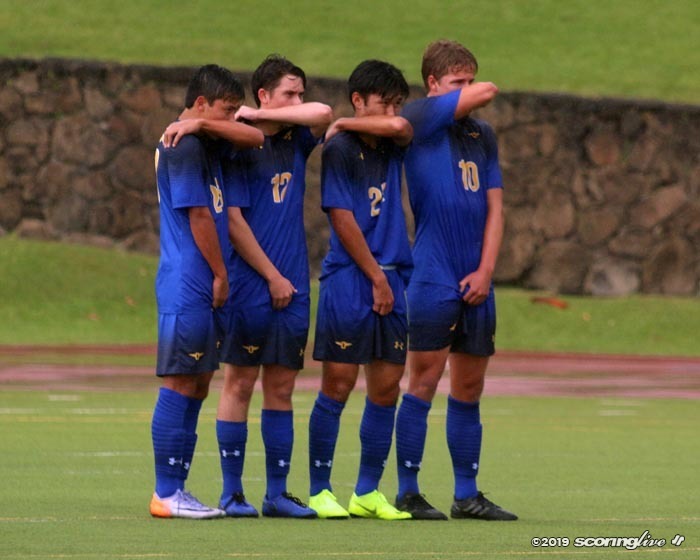 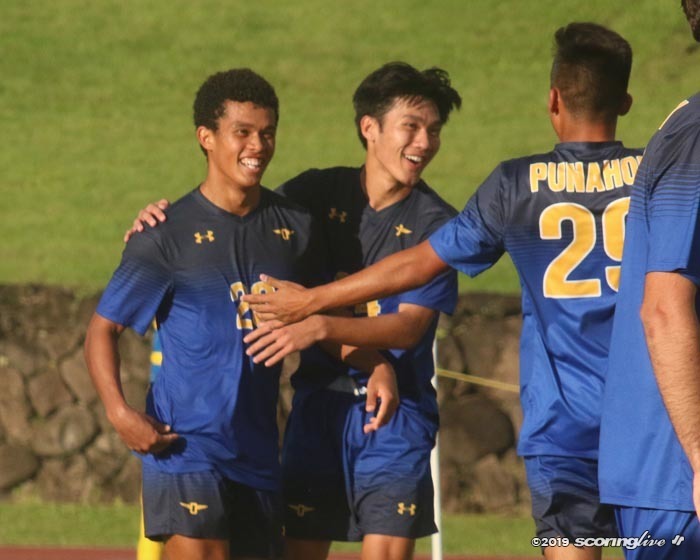 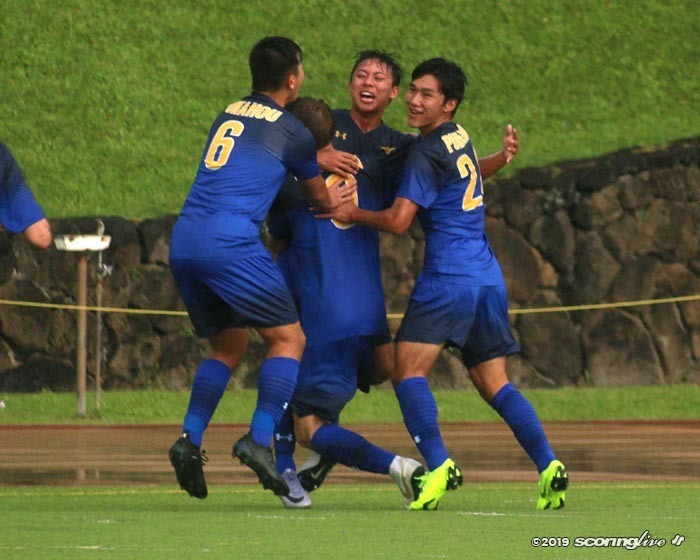 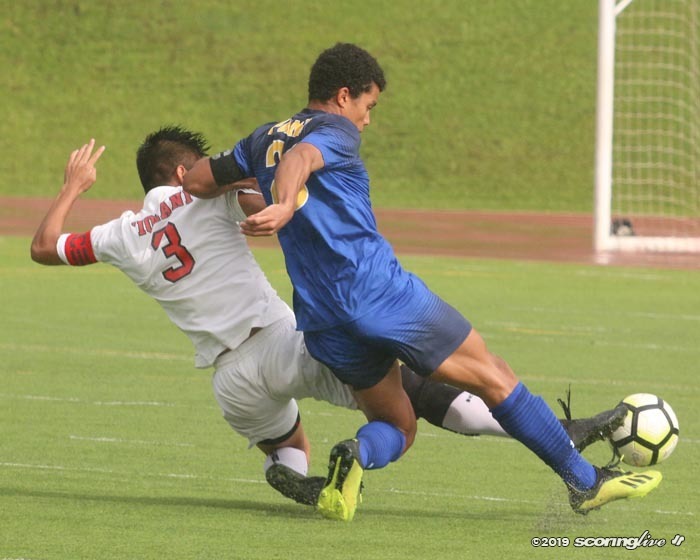 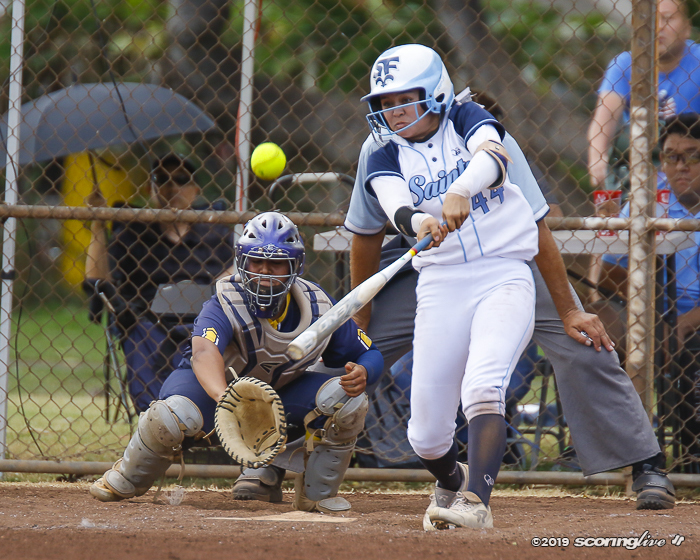 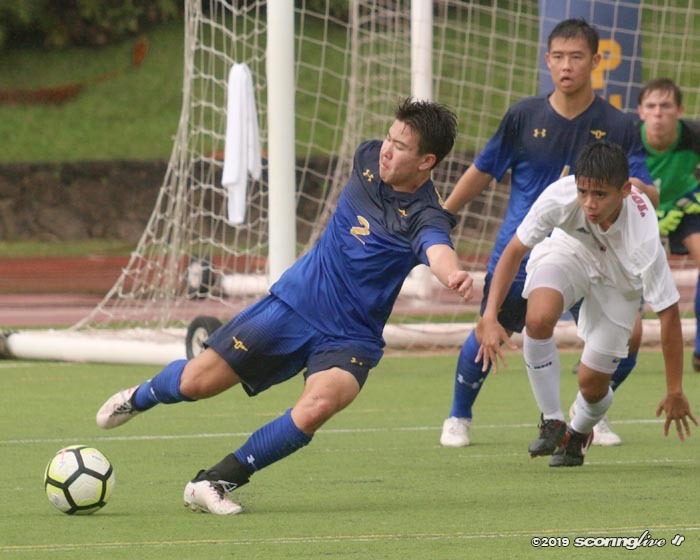 MAKIKI — On a wet and slippery Tuesday afternoon, Punahou still set fire to their own turf at Alexander Field as the No. 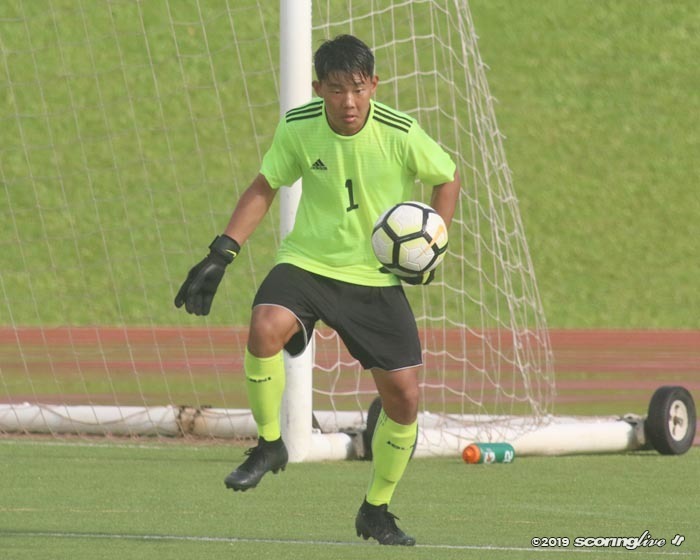 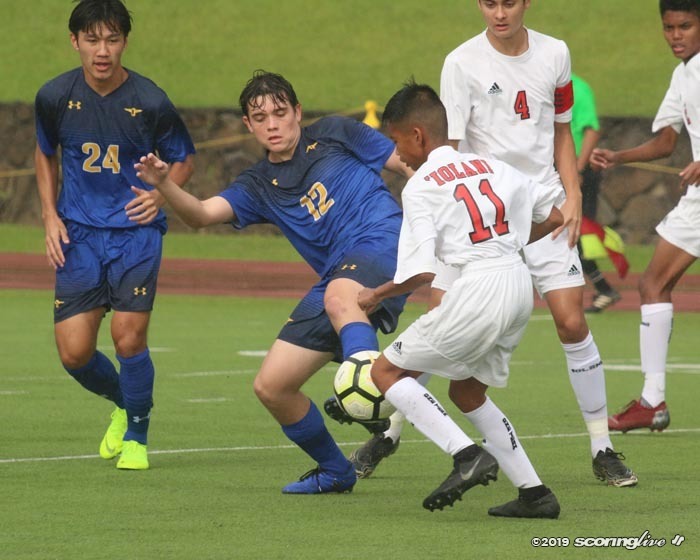 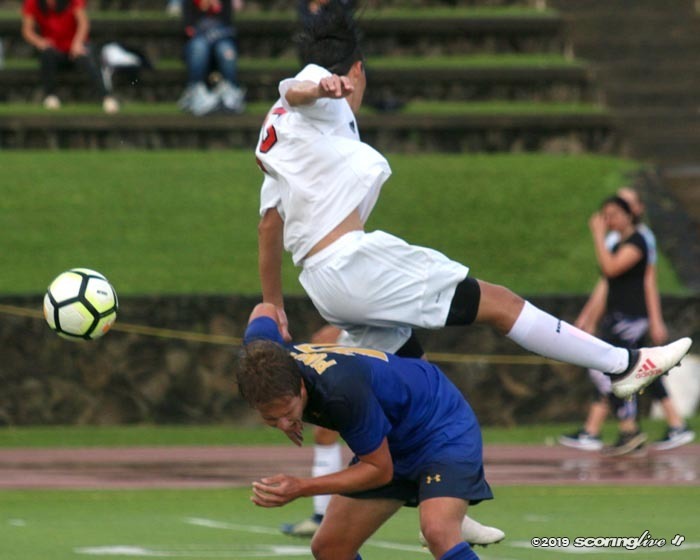 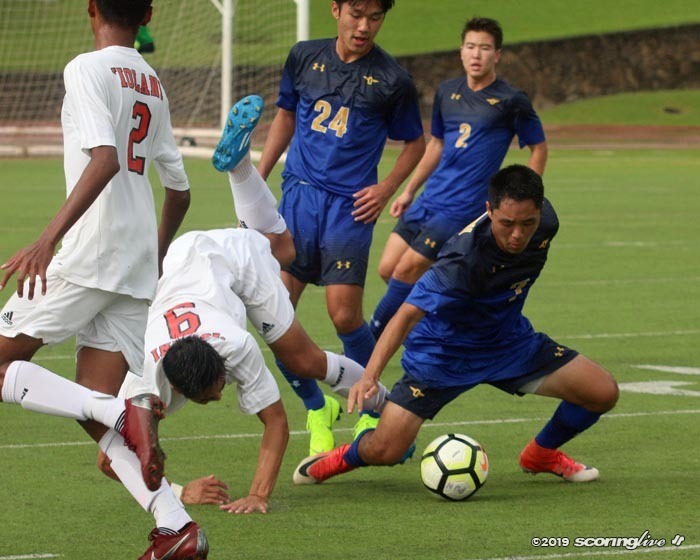 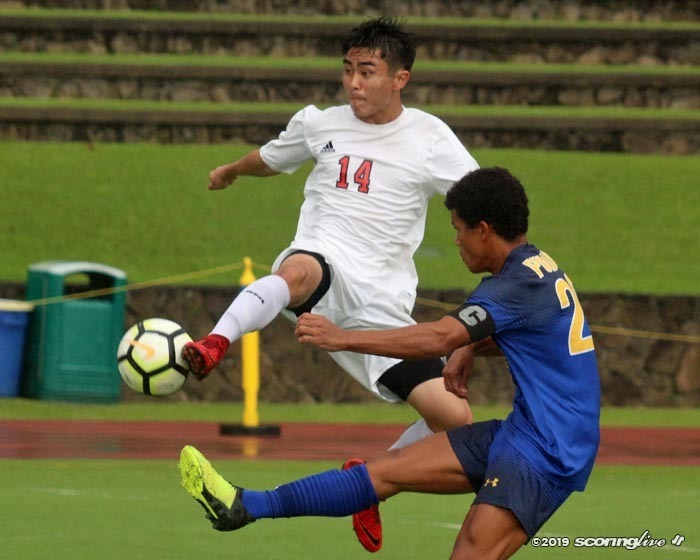 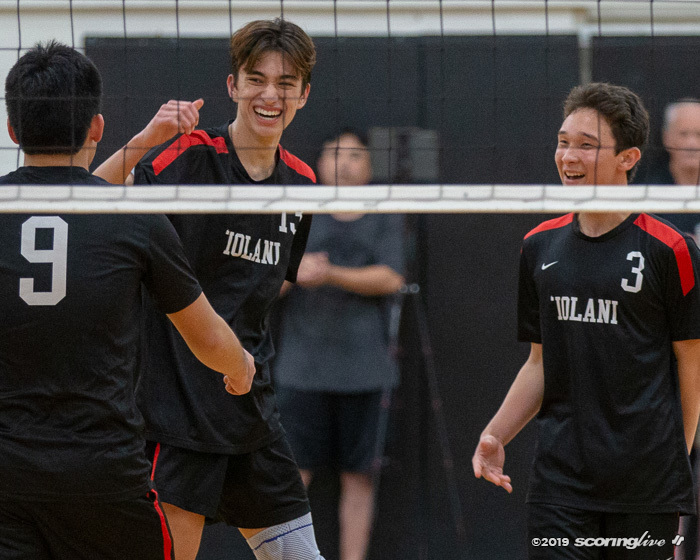 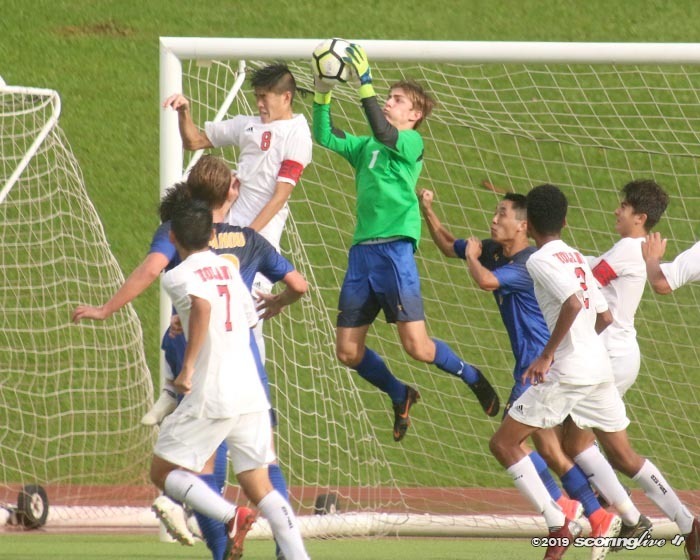 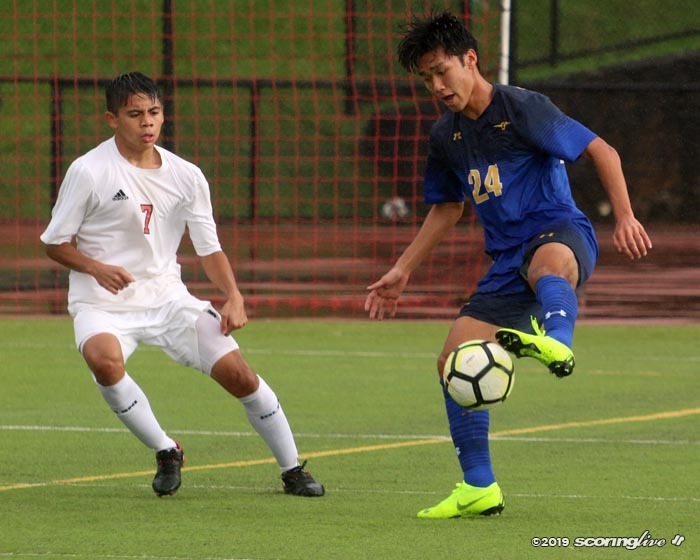 3 Buffanblu blazed by top-ranked Iolani, 4-1, to capture the overall Interscholastic League of Honolulu Division I title and a seeded berth and first round bye in The Queen's Medical Center/HHSAA Boys Soccer State Championships next week. 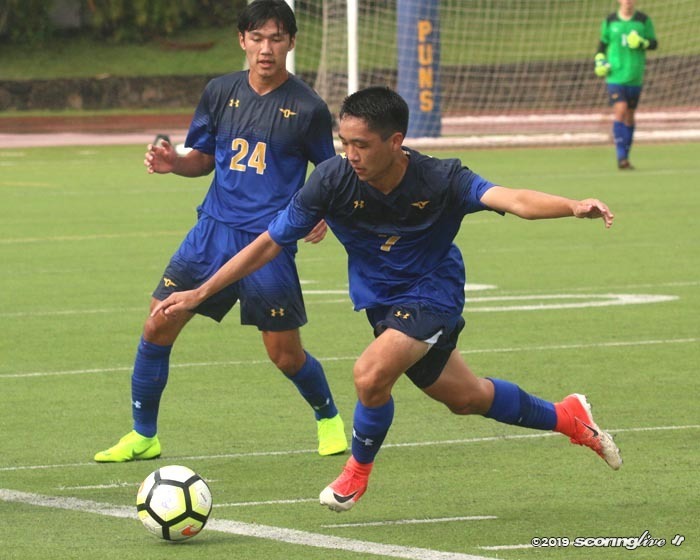 The Buffanblu scored a pair of goals in each half and jumped out to a 4-0 lead with an own goal and scores from Micah Williams, Treyden Buder-Nakasone and Max Moonier. 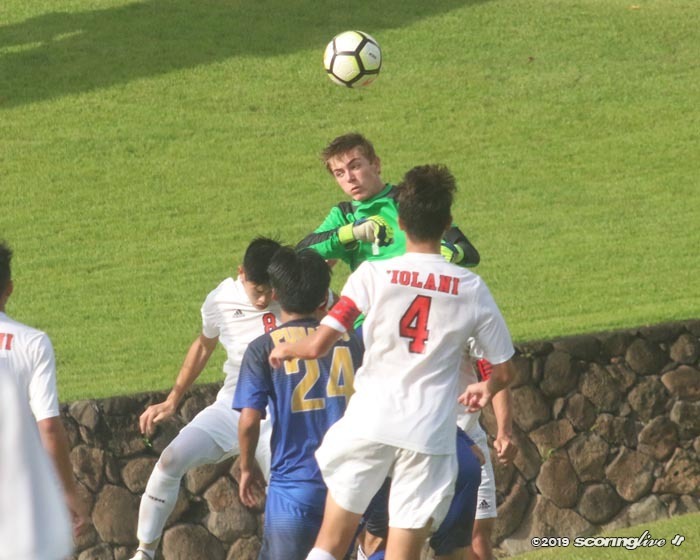 Iolani prevented the shutout with Brendan Parke netting the Raiders' lone goal. 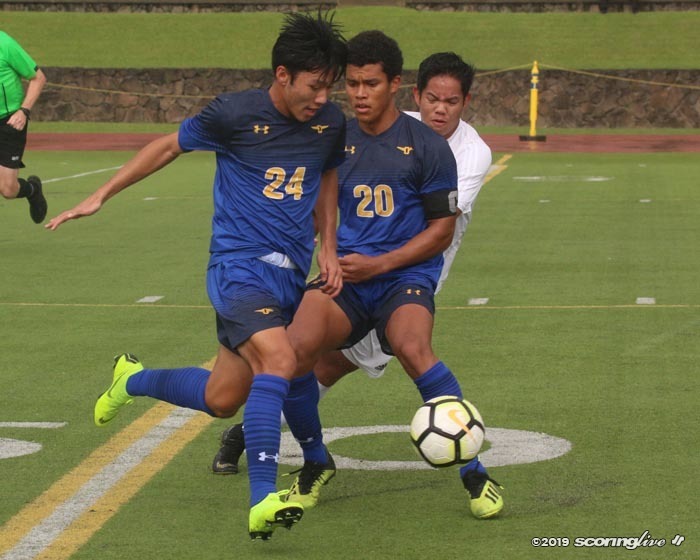 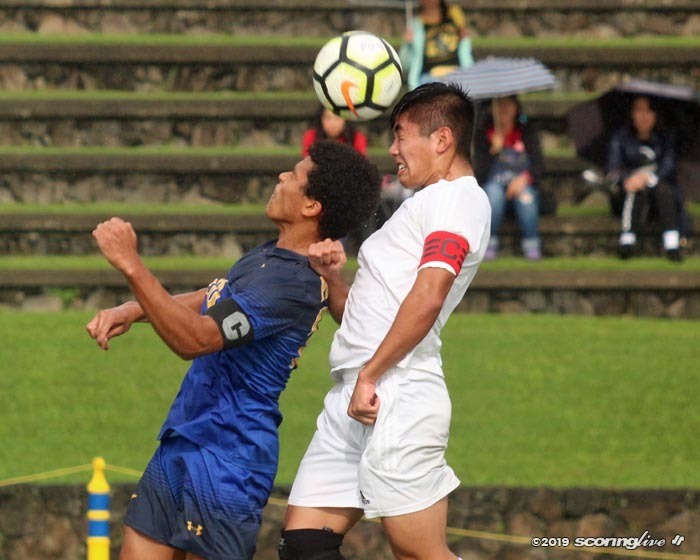 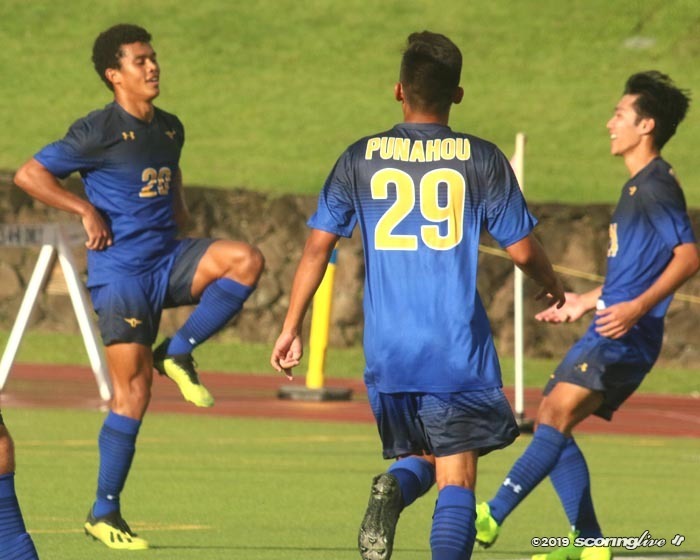 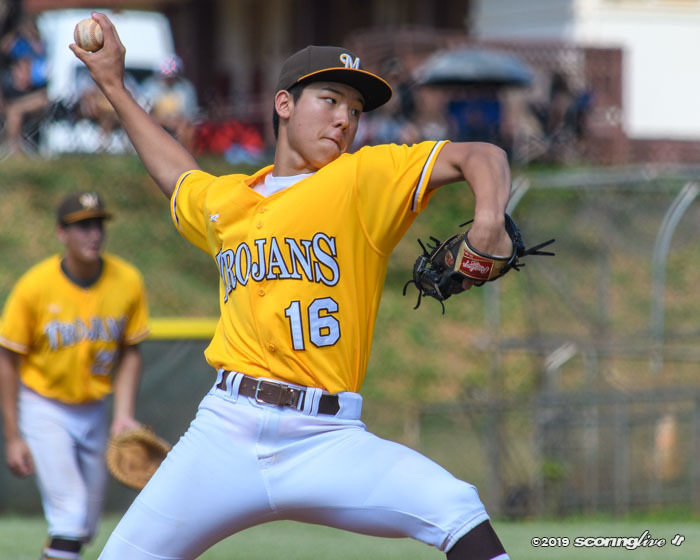 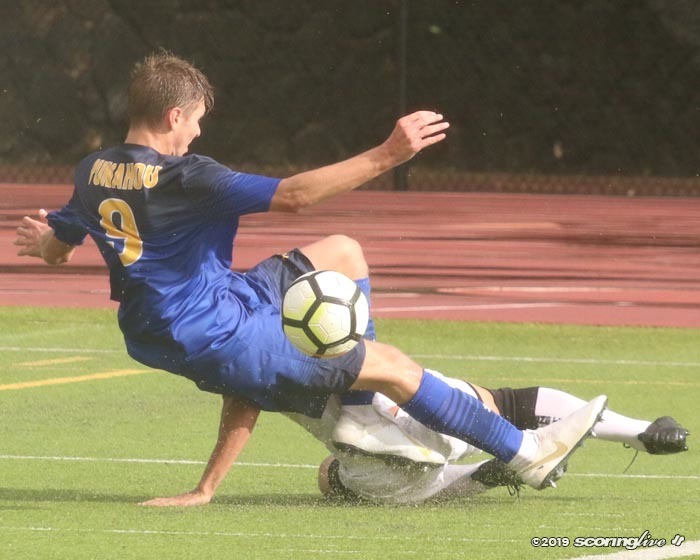 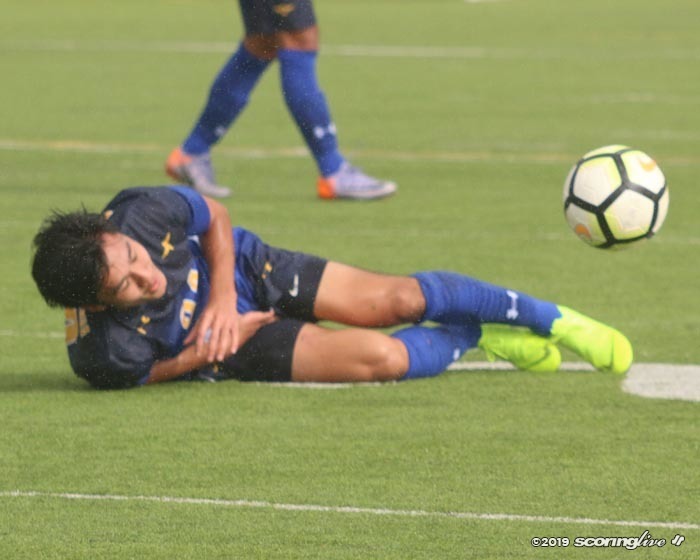 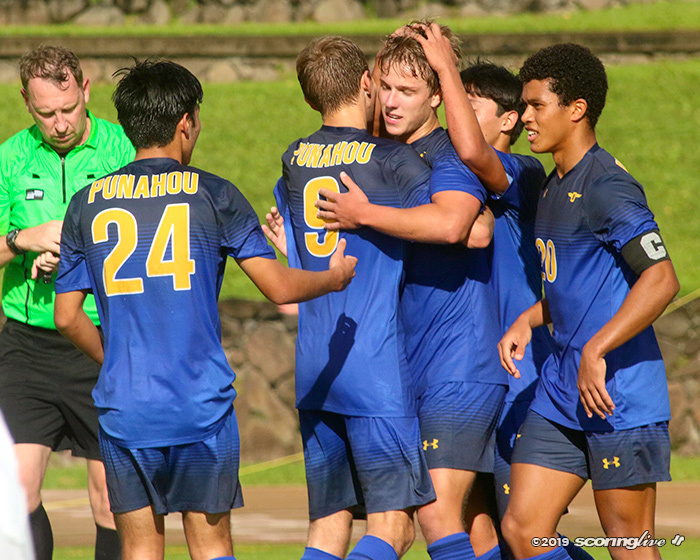 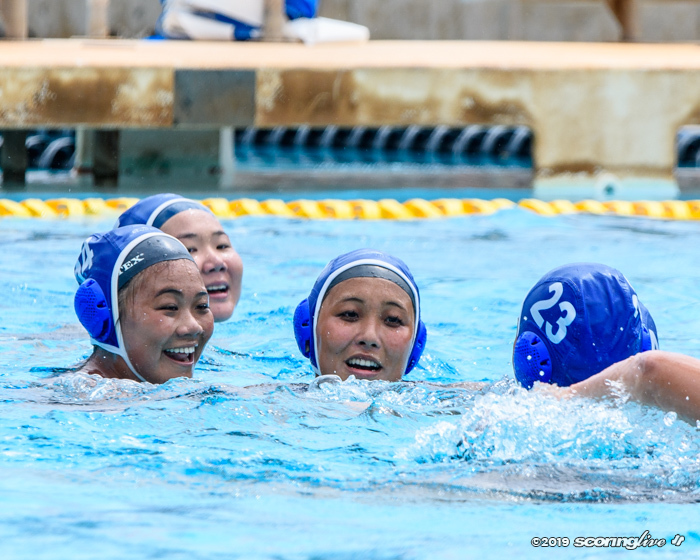 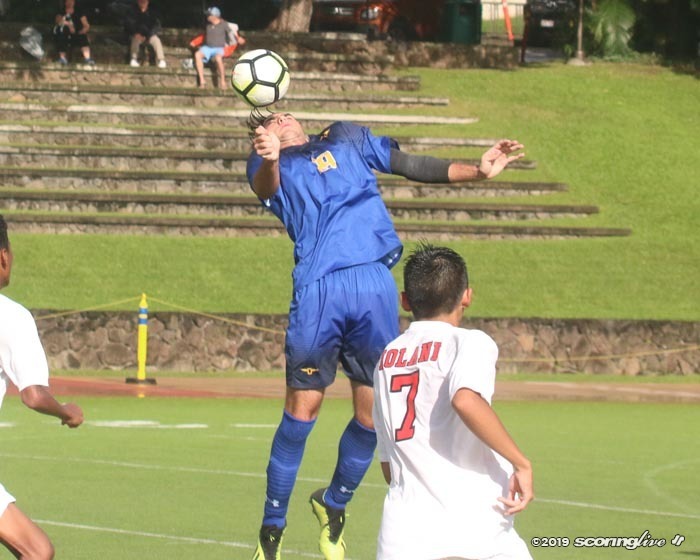 Punahou won the ILH first round with a regular season record of 8-0-2 but were eliminated by Kamehameha in the second round tournament. 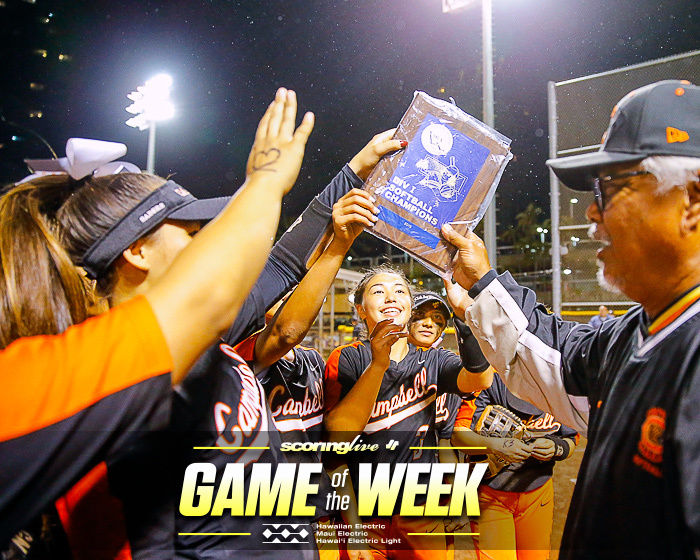 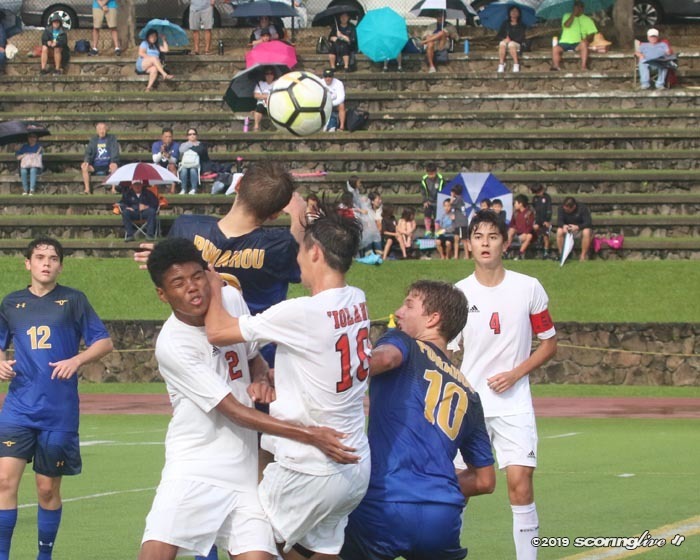 Iolani defeated the Warriors last Saturday to win the second round and claim a state berth, forcing Tuesday's playoff for the overall championship. 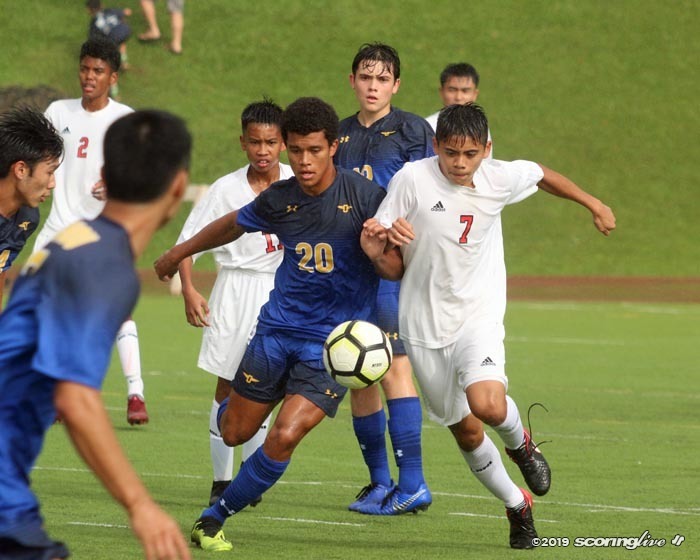 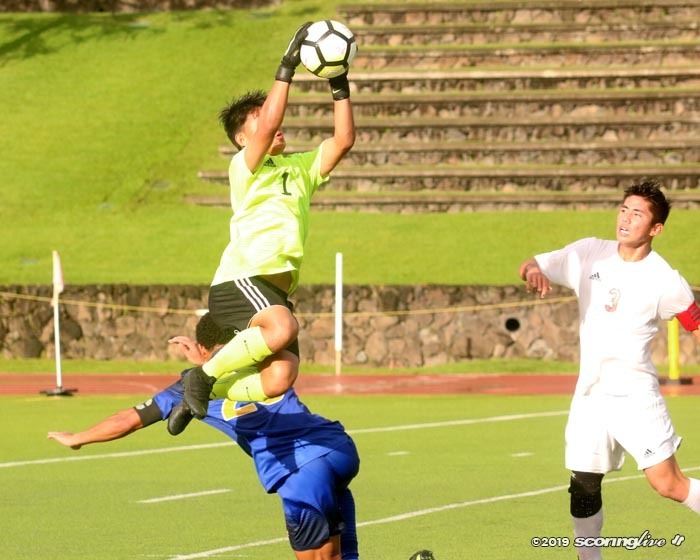 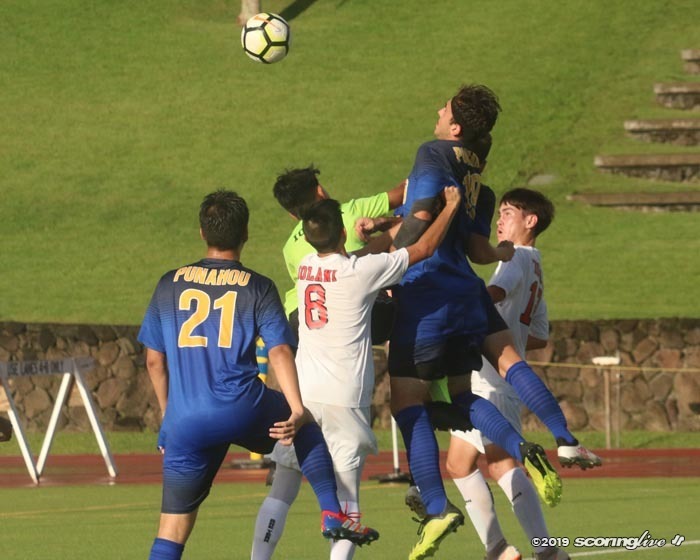 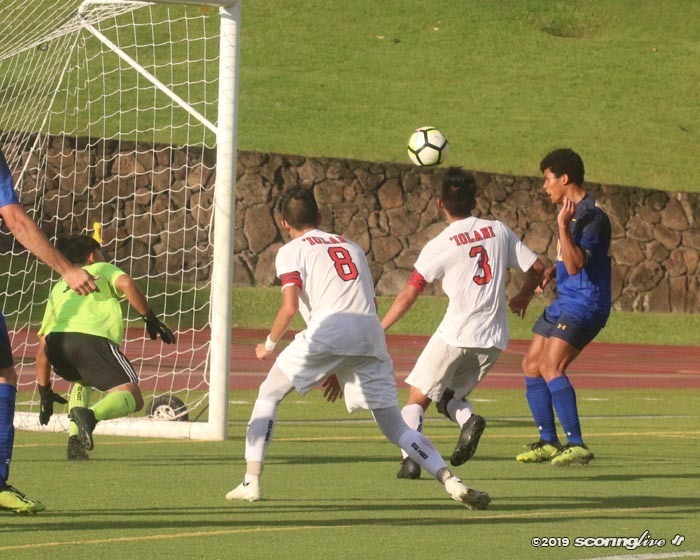 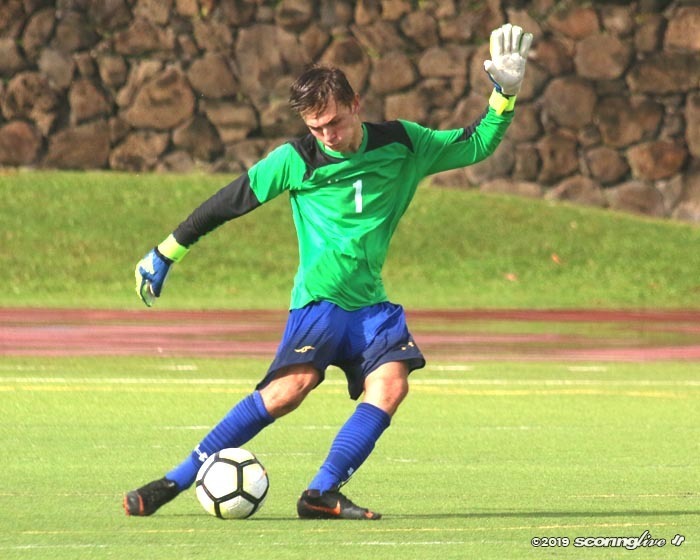 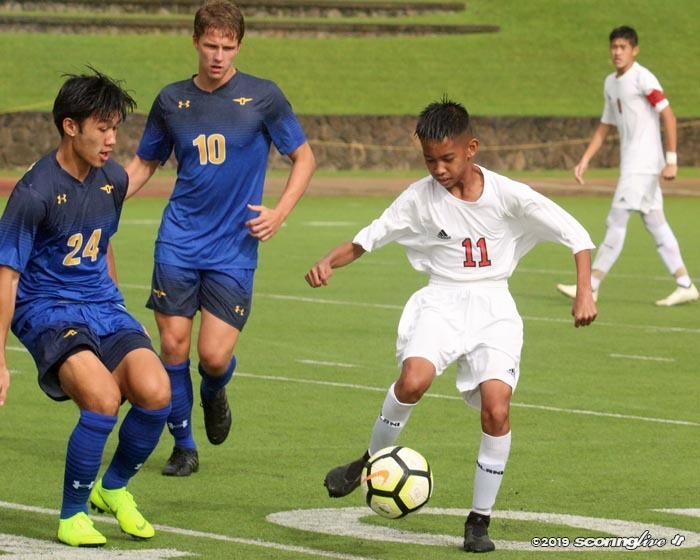 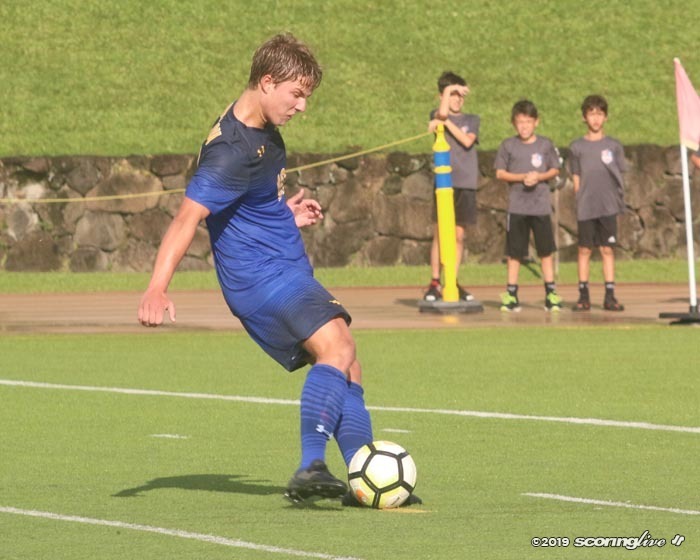 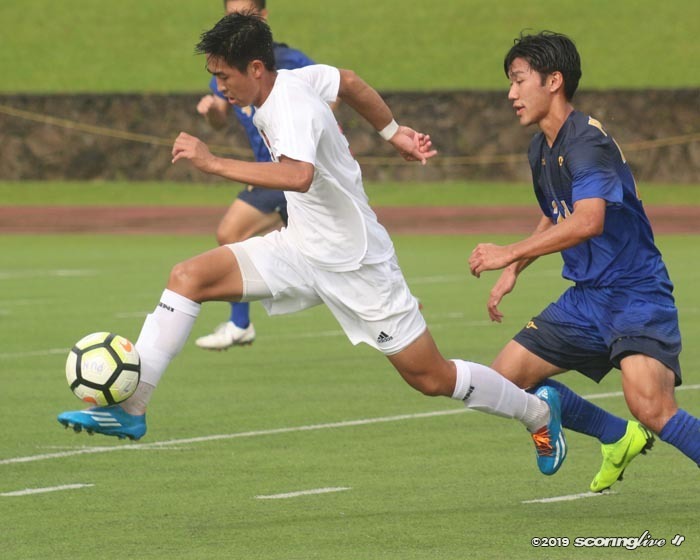 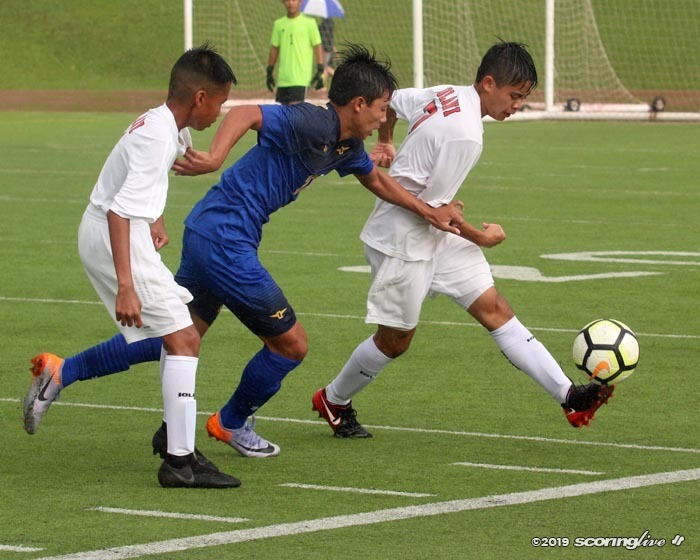 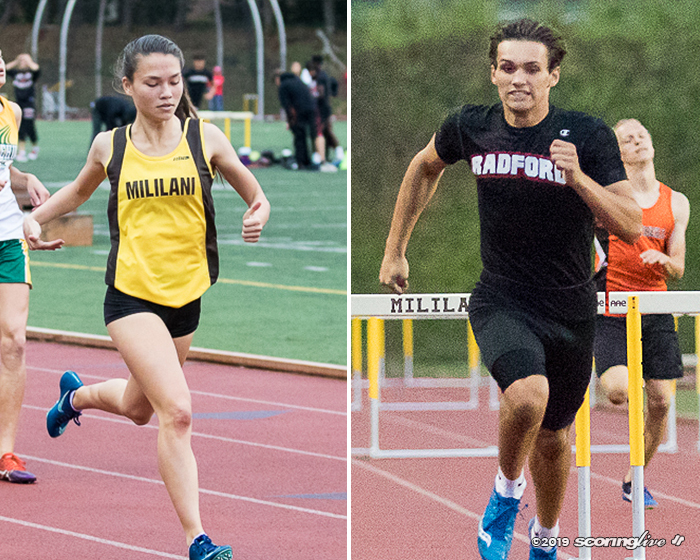 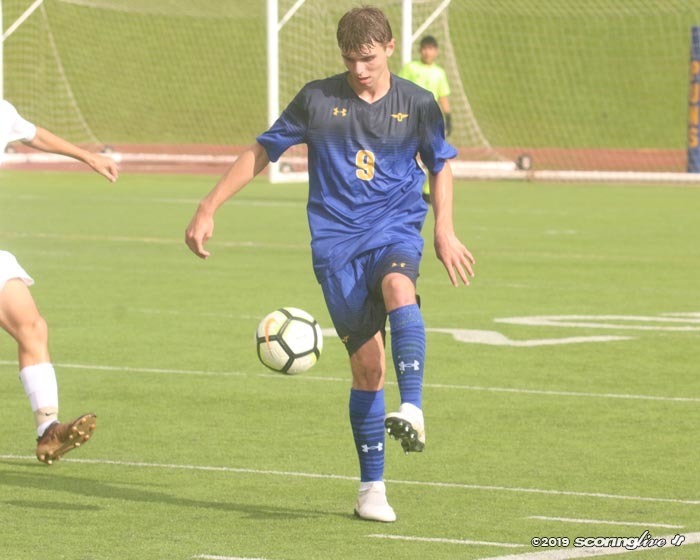 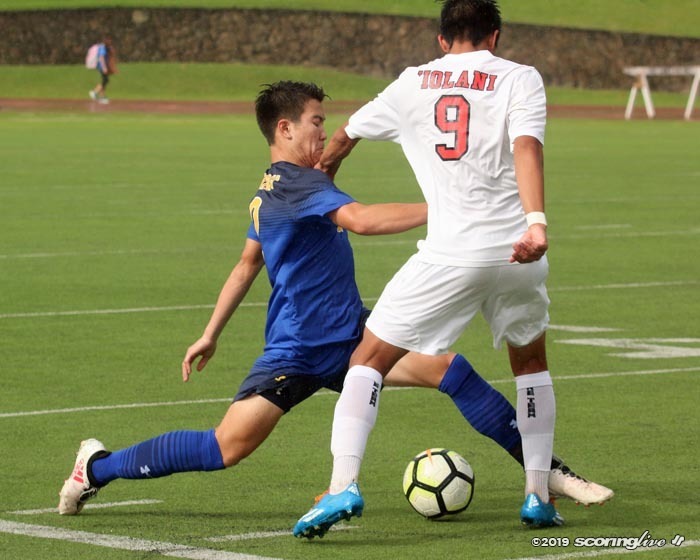 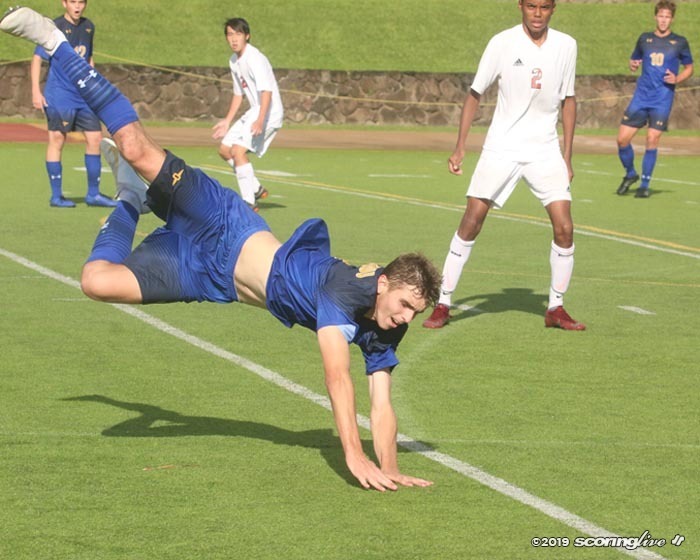 The Division I state tournament begins Monday, Feb. 4 with four regional opening round matches and continues Thursday, Feb. 7 with the championship game slated for 7 p.m. Saturday, Feb. 9 at the Waipio Peninsula Soccer Complex Stadium.